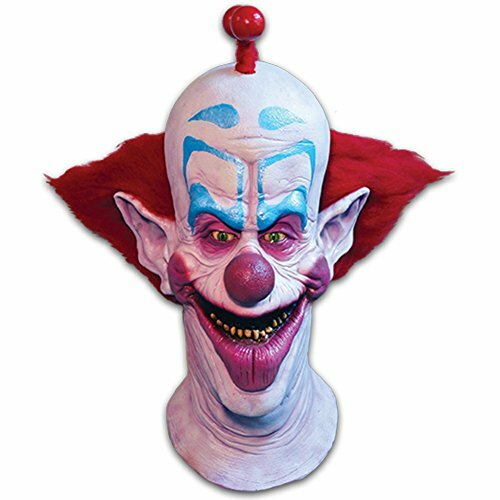 Trick or treat studios is proud to present the official the killer klowns from outer space slim Halloween mask Sculpted by our art director justin mabry, this is without a doubt the most screen accurate killer klown slim mask ever produced. 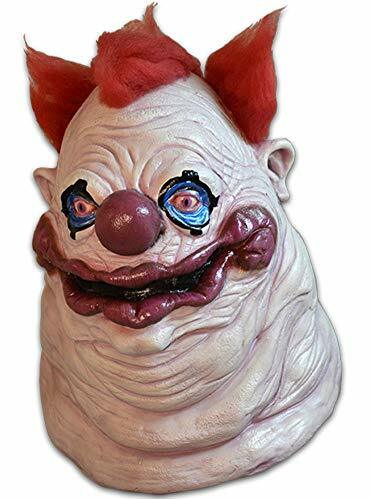 Using countless screen shots and numberous pictures of the actual screen masks which we took at monsterpalooza, justin included every detail of our favorite killer klown from outer space. 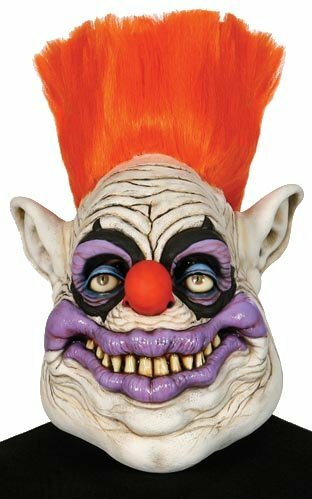 Trick or treat studios and mgm are proud to present the official the killer klowns from outer space klownzilla Halloween mask Sculpted by Mikey rottela, this is without a doubt the most screen accurate killer klown klownzilla mask ever produced. Using countless screen shots and numerous pictures of the actual screen masks, which we took at monsterpalooza, Mikey included every detail of our favorite killer klown from outer space. 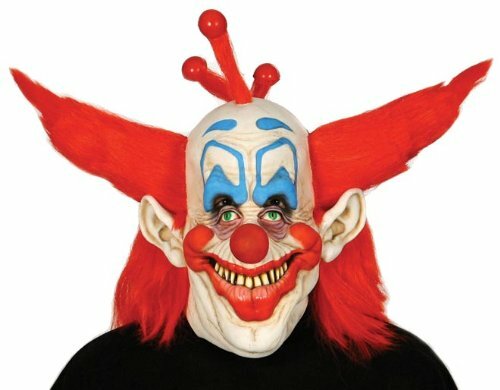 So get yourself a klownzilla mask and be the ringleader this Halloween. Killer clowns blend aliens and clowns in perfect harmony. perfect combo for this years party.don post, the godfather of halloween, created and sold some of the first latex mask in the entertainment industry. don post studios are famous for creating mask used in many blockbuster movies such as star wars and the halloween film series. since 1938 the don post name has cultivated the respect of the entertainment industry. 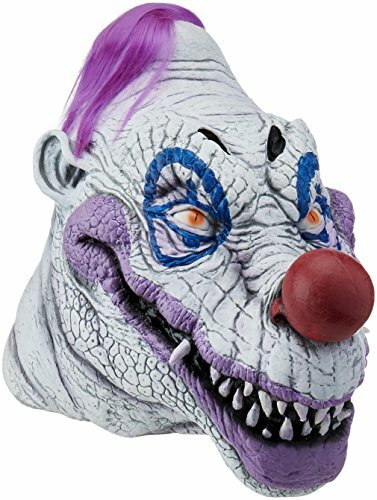 paper magic partners with don post studios to bring you these top quality masks, both new and innovative designs such as insane clown posse, gremlins, ghoulies, killer klowns from outer space and curse of the swamp creature, as well as the classics from the 70's and 80's. look for new innovations always from don post studios, we are the cutting edge. 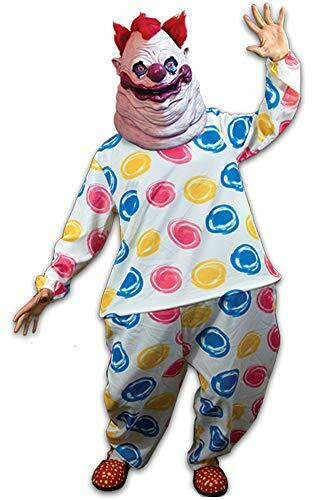 Killer clowns blend aliens and clowns in perfect harmony. perfect combo for this years party don post, the godfather of halloween, created and sold some of the first latex mask in the entertainment industry. don post studios are famous for creating mask used in many blockbuster movies such as star wars and the halloween film series. since 1938 the don post name has cultivated the respect of the entertainment industry. 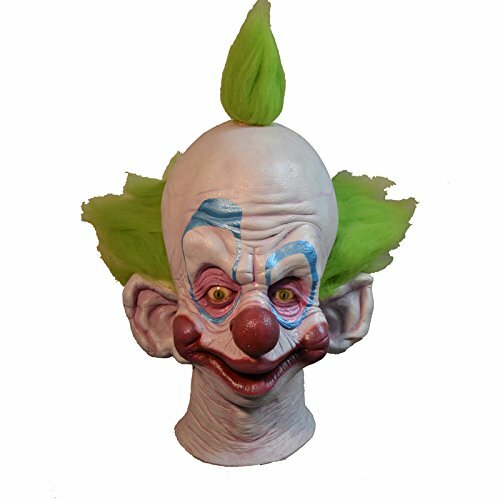 paper magic partners with don post studios to bring you these top quality masks, both new and innovative designs such as insane clown posse, gremlins, ghoulies, killer klowns from outer space and curse of the swamp creature, as well as the classics from the 70's and 80's. look for new innovations always from don post studios, we are the cutting edge. 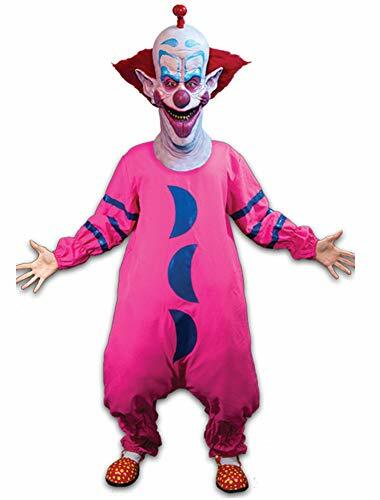 Unboxing of a Killer Klowns From Outer Space KK Slim Mask by Darkside Studios Subscribe Here!→https://www.youtube.com/c/PhiltheVileBile?sub_confirmation=1 →Like! →Comment! ---SOCIAL MEDIA--- Instagram→https://www.instagram.com/philthevilebile/ Facebook→https://www.facebook.com/profile.php?id=100015587567949 Thanks for watching my video! It means a lot to me! If you would like to subscribe click the big red button or click the link above! Unboxing of a Klownzilla mask produced by Paul Daniels of Darkside Studios Subscribe Here!→https://www.youtube.com/c/PhiltheVileBile?sub_confirmation=1 →Like! →Comment! ---SOCIAL MEDIA--- Instagram→https://www.instagram.com/philthevilebile/ Facebook→https://www.facebook.com/profile.php?id=100015587567949 Thanks for watching my video! It means a lot to me! If you would like to subscribe click the big red button or click the link above!